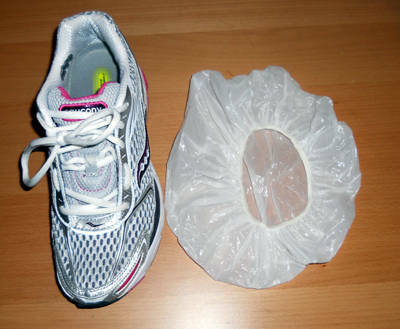 If you need to pack your shoes with the rest of your luggage, avoid getting your clothes dirty by wrapping them in shower caps! 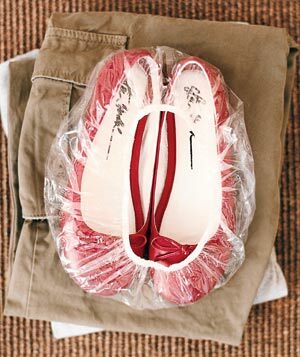 Wrap each individual shoe in one cap or, if they are small enough like ballet flats, wrap a pair in one shower cap! Take advantage of those free shower caps at hotels to save money by using them as shoe protectors!